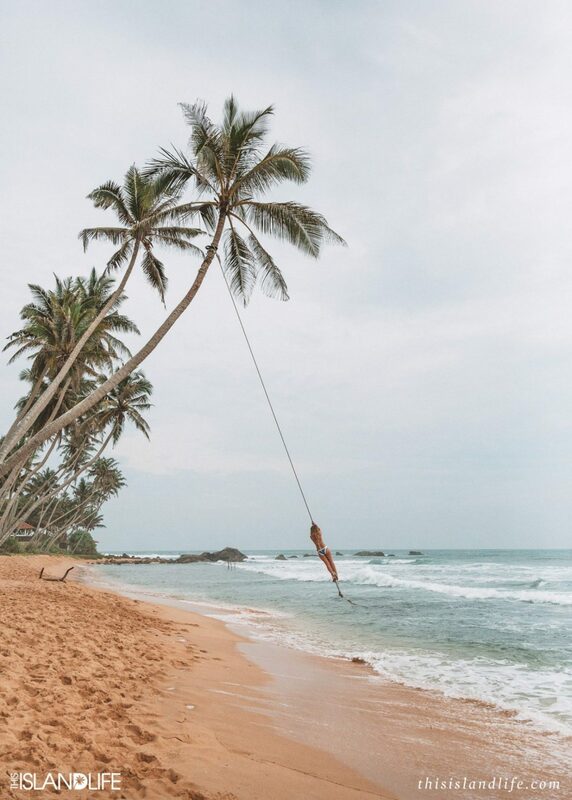 This palm tree (and its rope swing) is one of the most instagrammed spots in the whole of Sri Lanka. 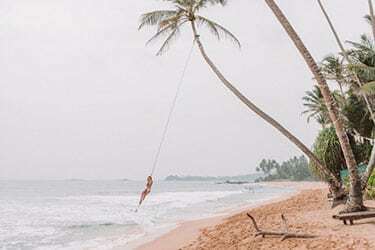 If you’re heading to this beautiful island and you want to tick this Insta-famous palm tree rope swing off your bucket list, here’s how to find it. Most of the shots on Instagram are tagged at Unawatuna Beach, but it’s not actually there. 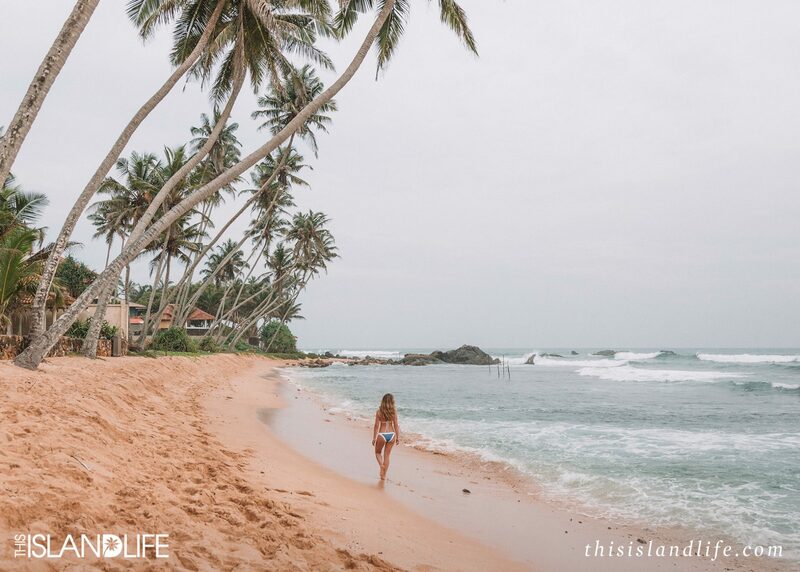 I walked up and down Unawatuna Beach in search of the palm tree and its rope swing, showing Instagram shots to local fisherman and restaurant owners, but I couldn’t find it. 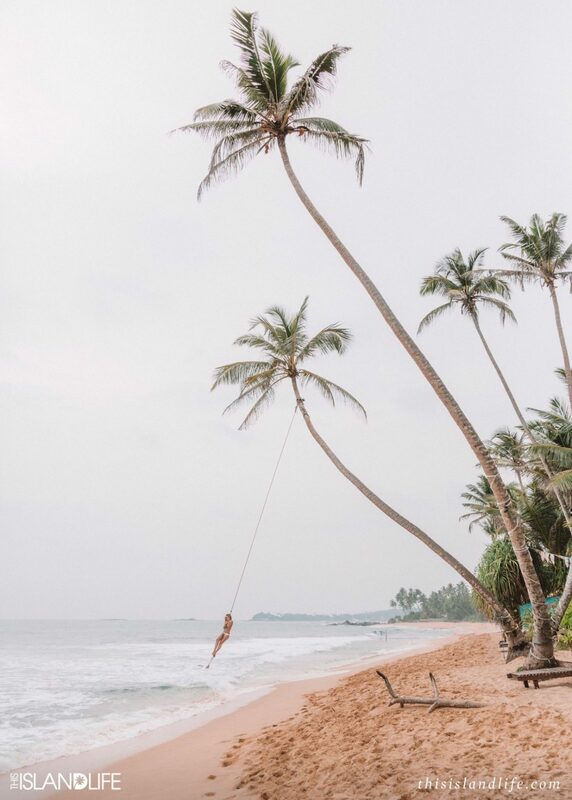 It had started to rain, but it was my last day in Sri Lanka and I was determined to swing off that palm tree. 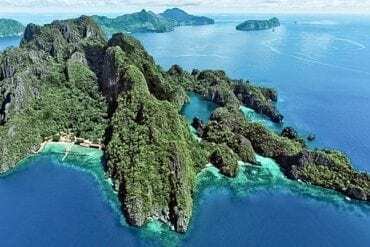 I went back on Instagram and found a shot that had a bit more of the beachfront in it – I zoomed right in and I could make out a few words… ‘Dream Cabana’. I did a quick search for Dream Cabana on Google Maps and discovered we were on the wrong beach. Turns out the palm tree swing is actually on Dalawella Beach, out the front of a little guesthouse called Dream Cabana. 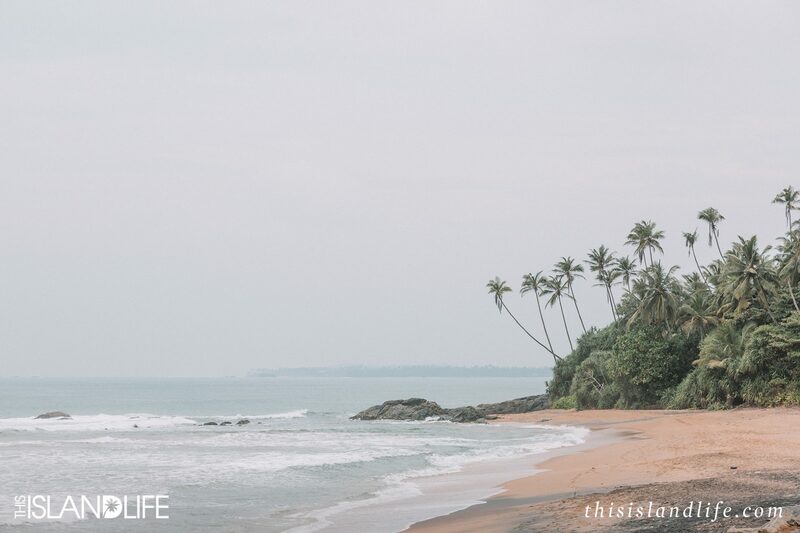 After a quick five minute drive south down the coast road, we reached Dalawella Beach and the palm tree of my dreams. The people who own Dream Cabana are incredibly nice. Apparently they built the rope swing as something fun for themselves. They didn’t realise it was going to blow up to become one of the most instagrammed spots on the island. They must get so many tourists asking to swing on their palm tree, but they are still so accommodating. When we were there in February 2017 they didn’t charge us to use the swing. But we did buy a few beers because it’s the right thing to do when you’re using someones palm tree. They even let me use one of the vacant rooms in the guesthouse to get changed too. 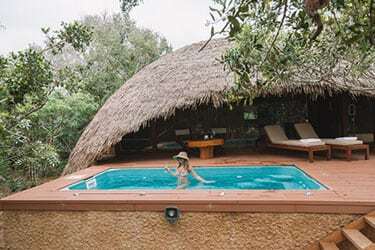 If I had more time on the island I would have definitely stayed there a few nights. 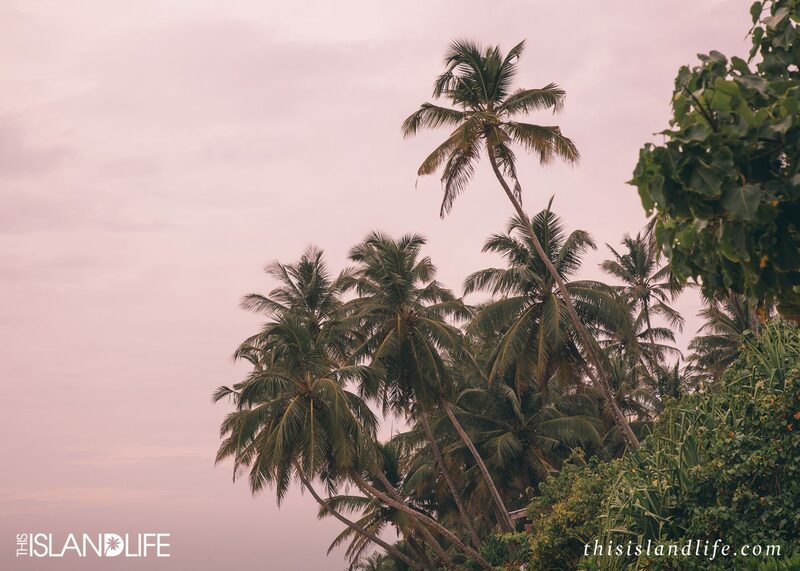 It was simple accomodation, but total beachfront – everything you could ask for from an island life vacay. We were unlucky with the rainy weather, but we were there at what would usually be the best time to shoot – early afternoon right up until sunset. I’ve seen some stunning photos of this palm tree at sunset with the most incredible pink, purple and orange hued sky. But even in the rain, this beach was total paradise. While I was swinging on the rope in the rain looking out at the ocean, I spotted a huge turtle swimming past. It was clear that at that very moment I was where I was supposed to be.